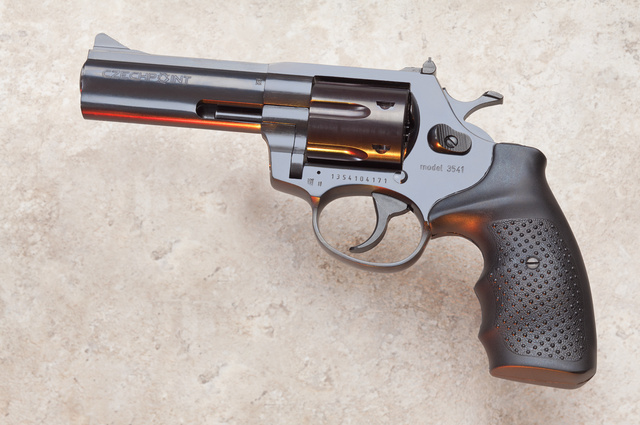 More options in medium frame revolvers: .38 and .357 Czechpoint models. I haven’t fired them yet but hope to do it by the end of the month. Overall, they look like K-frames with recessed chambers and re-designed ejectors. This entry was posted in ammunition, pistol and tagged Czechpoint. Bookmark the permalink. But the .22 LR revolver carbine, which Czechpoint does import, looks very interesting. I have the 22WMR carbine here and will post photos and a review soon. You haven’t done one on the LCRs have you? I’ve had both the .38 and now the .357 and appreciate them both. Do the cylinders turn clockwise or counter-clockwise? I would like to find a good, reliable and affordable revolver for the house and maybe the occasional carry. Counter-clockwise. Why does it matter? It depends if you’re in the northern or southern hemisphere. Supposedly clockwise rotation of the cylinder forces the crane against the frame creating tighter lockup & better cylinder/forcing cone (barrel) alinement improving accuracy. I’ve yet to see any practical difference. There’s an urban legend of an idiot who decided to show off by playing Russian Roulette & thought he’d loaded the revolver so the cartridge would not be under the firing pin when the revolver was cocked & the hammer would fall on an empty chamber.He was used to the cylinder rotating one way & the gun in hand rotated the opposite way. Another ‘Darwin Award’ winner. P.S. to DisavowedWithHonor: gunbroker.com has Ruger Security-Six .357’s for $240-$500.You should beat that price at a gun show. 2″ Smith & Wesson Model 10’s in .38Spl. run $300-$400 & are good shooters. J&G Sales usually has a good selection of police trade-ins. Like Henry said above, I wonder why anyone would buy one. 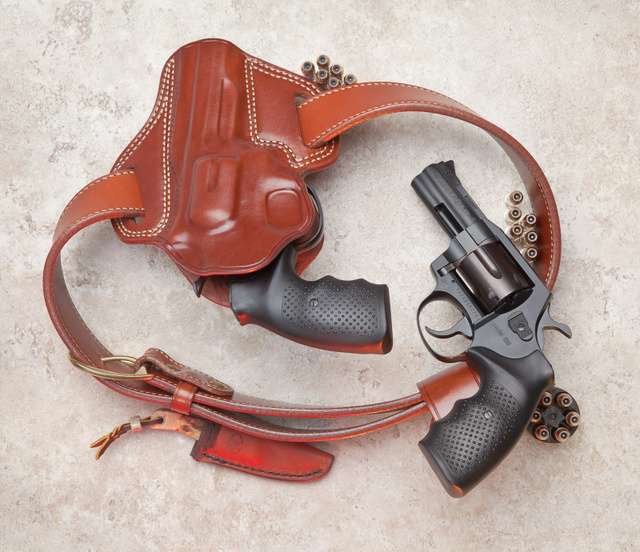 Used good quality S&W and Ruger revolvers are plentiful. And easy to work on. Parts are plentiful. Here in Italy, we had them since a few years now. Not bad overall, and less expensive than any S&W, yet less known and less popular… I’d go for one, if I ever were to choose a budget revolver. I had the Alpha Steel mod. 3541 .357Magnum. It’s not so bad, but if you need a good revolver, jus buy any Smith Wesson or Colt or just Ruger, bet not the czech made revolver. If it was a choice between a Taurus and these Czech models, which would be your choice? Personally, I would take a chance on these Czechs. I do not have enough experience with either recent Taurus or these, but I should have first-hand experience later in the week. FYI:Smiths & Rugers rotate counterclockwise;Colts clockwise.